Sign-Age has a wide choice of accessories to enhance your signs, banners and posters. 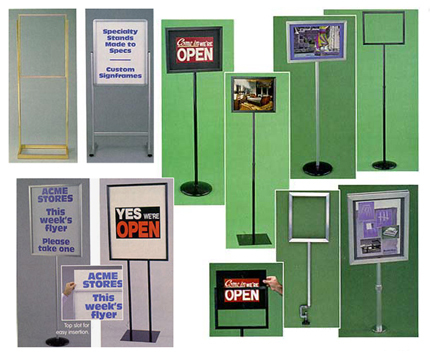 We have framing systems, sign stands, posts, banner stands, easels, hanging hardware and supplies, just to name a few. Just let us know how you plan to display your sign product and let our expert visual communications representative recommend the best accessories to handle the job easily!